A great way to build wealth is to own a house. Now keep in mind that buying a house ajust because you think it’s the perfect investment is actually not the way to go. A house is a good investment, but there are better ways to invest that will earn a bigger return. But what happens when you want to sell your house? Suppose you want something bigger, or maybe smaller. Perhaps you’re sick of maintaining your home and you want to move into a rental. Or you have been transferred out of state for your job. No matter what the reason for selling, there are tax implications of selling your house that you need to be aware of (don’t worry, your accountant in Billings, Montana will know the specifics; you just need to be aware). 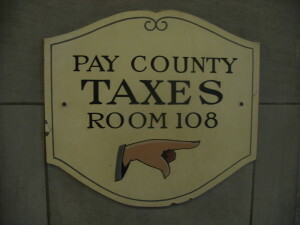 In 1997 the Taxpayer Relief Act was passed. This law provided a big relief to those who were selling their home and making a bit of a profit on it. Before the law was passed you had to reinvest those profits into another home (a bigger home) within a certain time period. Now you get a big break. 2 of the last 5 – The law states that if you have lived in the house, as your primary residence, for at least two of the last five years, then you can claim the capital gains exclusion when selling your house. $250,000 to $500,000 – If you file your taxes as single, then you can profit $250,000 on the sale of your house and not have to pay taxes on the gains. If you are married, then you can profit up to $500,000 on the sale of your house. Age is Just a Number – You can claim the capital gains exclusion no matter how old you are. You don’t have to be over 55 to get this. Before 1997 it was pretty hard to sell a house, make a profit, and get away without paying the taxes. Now it is pretty easy to sell a house, make a profit, and not have to worry about paying taxes on the gains. But there are times when you still might owe. 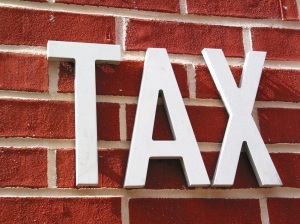 When do You Pay Taxes when Selling Your House? Not everyone can get away without paying taxes on the sale of their house. But you almost have to try hard to pay those taxes. If you profit more than the exclusion allows, then you will owe taxes when selling your house. But the good news is that you don’t owe taxes on the full amount. For instance, if you are married, and you sold your house and made a profit of $500,100, you would only have to pay taxes on the $100 over the exclusion amount. There is more though. If you make over $200,000 per year, there is a Medicare tax imposed on the gains over and above the exclusion. Keep in mind that you can only claim the exclusion for one house at a time. So if you sell your primary residence, you can claim the exclusion. But then if you sell your vacation home, you cannot claim the exclusion (because you weren’t living there for 2 of the last 5 years). 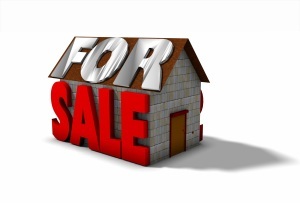 Still have questions about the tax implications when selling your house? Contact Practical Taxes today! People dream of winning the lottery. They make big plans on what they would do if they were to win millions of dollars, and they talk about how many people they would help. Of course they complain that the government would take approximately half of their winnings in the form of taxes, but overall they would still be happy with the huge surplus of money that they are left with. So how is it that about 70% of those who win the lottery will go bankrupt? Unfortunately a sudden influx of money does nothing to help improve financial sense. So when people suddenly win millions upon millions of dollars, they simply stick with their same foolish spending habits. Only now those habits are at a much larger scale. Winning the lottery could help someone out tremendously. And the economic impacts of the lottery can’t be argued with. After all, those who win the lottery spend a considerable amount of it right away. They buy new houses, new cars, give to charities and family members, they pick up the tab at a restaurant… for every customer there. Lottery winners seldom have a problem finding ways to spend their money. However, without a set plan on how to spend the money, most will make foolish money mistakes that ultimately reduce them right back to where they were before they won their millions of dollars. 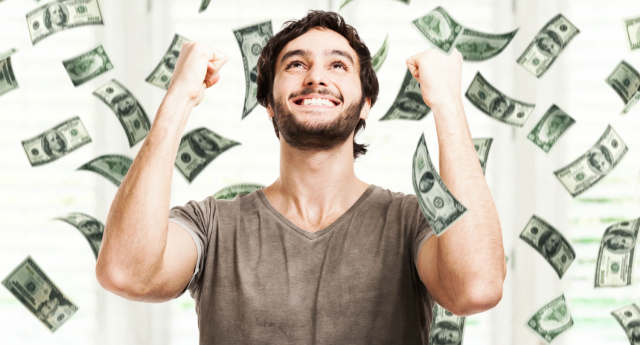 If you don’t believe me that winning the lottery brings some unnecessary hardship, check out these 10 people that couldn’t handle their winnings. There is really no financially sound reason that you should even try to win the lottery in the first place. In fact, the odds of winning are astronomically high. But you can take this advice and apply it to other financial windfalls like receiving an inheritance, getting a large tax refund, or maybe even an unexpected bonus at work. Before any money actually comes in, make a sound plan to use it appropriately. For instance, you might want to pay off all of your debt, buy a new car, give a little to your family members, and take a vacation. Depending on your situation, that should only take up a few hundred thousand of your winnings. After that, invest the rest in a trust, preferably an irrevocable trust that has detailed information about who can take money out and how much they can access. Without a plan, we as humans are likely to overspend. Whether it is on ourselves, giving to charities, or all around just wasteful use of money, the lottery winnings will disappear quickly. If you have been lucky enough to win the lottery, you will want to enlist the help of an accountant in Billings, Montana. With the help of Practical Taxes, you can be sure that your money will be put to the best use, and your taxes will be minimized. Have you seen a sudden influx of money? Did that money disappear a lot faster than you care to admit? Practical Taxes is a full service accounting firm in Billings, Montana. While tax preparation is a huge part of our business, we also love to help with payroll services. One specialty is online payroll services; no matter what part of the country you live in, we can get your payroll done. Have you heard of the phone scam where someone calls and pretends to represent the IRS? The scammers inevitably ask for personal information, and, too often, people willingly give out their personal information, such as their social security number to these scammers. The scammers also ask for money. And, unfortunately, people pay it; or they provide their banking account numbers. It’s estimated that over ten thousand people—more everyday—have been affected by these phone scams; estimated that over fifty-four million dollars has been paid to these scammers. But you should know that there should never be a day where an IRS agent simply calls you up, unannounced, and asks personal questions. The IRS will make initial contact via the good old USPS. If they are requesting money, they will send to you in the mail a bill, requesting payment. The bill will look like any other bill you would receive in the mail; however, it will be from the IRS. There will be directions in the bill as to how to proceed to pay the bill or how to contact the IRS with any questions you may have; it will be simple and to the point. The IRS may notify you of a possible attempt to contact you via telephone—possibly even request a face-to-face meeting—but, when they do call, they won’t request that you tell them all your personal information. Remember, the IRS already has a lot of your personal information, and they won’t ask you for your social security number over the phone; they won’t ask you to tell them your bank routing codes, or your checking account number; they won’t ask you to pay your bill over the phone, and they won’t initially demand a payment—remember that you have rights, too, and one of those rights is to appeal. And they won’t threaten to have you arrested by the local police if you don’t pay. Call Practical Taxes for all your tax needs. 2016 is officially over, and that means it’s time to prepare for another tax season! Like it or not there’s only a few months left until the April the 18th deadline, and for most of you there’s so much to prepare. For those of you who have a lot of write-offs, those of you with small businesses, etc., January is the time to start getting all of your receipts in order. Make sure that everything is accounted for. If you are missing something, and need to have the filed-proof of something (say an invoice for something work related, etc.) ensure now that you either have appropriately filed away a copy, or, if you have unfortunately lost your copy, you have the time now to find it. This is the time of year to have your vehicle mileage documented orderly if you have yet to do so. January the 31st marks the last day at which you should mail your employees W-2 forms. Obviously you will want to mail out any forms on time, because your employees are counting on you for this, but there could also be a penalty charged to your company by the IRS if you do fail to mail out your forms on the 31st of January. Remember, the W-2 form only needs to be postmarked by this date, your employees may not receive it in the mail until a few days after, so, if you are planning to mail the forms at the last minute, it may be wise to explain this to your employees who may be expecting to receive it sooner. Regardless of how difficult your taxes, your accountant is ready to help you through the process. Try and plan an hour or two for one day in the future (or on several days in some cases) to visit your accountant’s office to prepare your taxes. 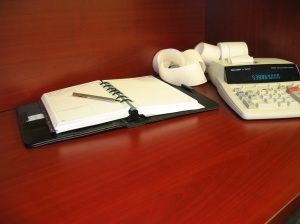 To ensure that you receive the undivided attention of the accountant you want to see, make a reservation. If you are seeing an accountant for the first time, Practical Taxes is here and ready to help you through the process of your 2016 tax returns. Practical Taxes is a full service accounting firm in Billings, Montana. We can help you get the most from your taxes, and make sure that you will get the maximum refund every year. But we don’t just do taxes! 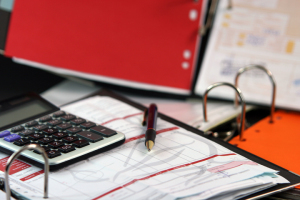 We can help with your bookkeeping, payroll, bank reconciliation, budgeting, and more. Give us a call at 406-894-2090 to learn more. As most of you already now, tax day is just a week away. For those of you who have yet to file, we understand the stress and the pressure of getting it done soon. However, for those of you under a serious time crunch, there are ways in which you can extend your tax deadlines—however this does not get you out of paying your taxes in a timely manner, it only gives you a little breathing room to get everything in order. Your accountant can help you to file an extension if you are going to need one. You can also find this information on the IRS website. The extension is merely a six-month time leniency in which a person may get together their returns. If a person cannot afford to pay their taxes immediately, the IRS does have payment plans. Taxes wont be forgiven when someone participates in this plan, but like most things involving debt, the IRS will accept payment for a predetermined period of time during which the amount owed in tax is entirely paid. These payment plans can extend up to seventy-two months, although if you find yourself having to use these payment plans, you may want to consult with your accountant to prepare a plan for the next year. There is also a plan which the IRS labels the offer-in-compromise, which states that qualified, struggling tax payers may settle their tax debt for less money then they actually owe. This plan is beneficial to some, although it’s only for qualified persons, and your accountant can determine—if this is something in which you’ll need to participate—if you qualify. Tax day is stressful, and your accountant understands that. If your one of the many who are struggling under either a time constraint or you’re struggling with financial concerns, make sure to call your accountant so that you may benefit from these IRS programs. If you are ready to get your taxes done and you have the time between now and tax day, call your accountant and get your 2015 taxes behind you. I have yet to meet a single person who loves paying taxes. Sure we all love the benefits that we get out of them: emergency services, hospitals, roads without potholes, and a host of other benefits. But when it comes down to it, we all want to reduce our tax bill as much as possible. As an accountant in Billings, Montana, we want to help you keep as much money in your pocket as possible. Here are the 5 easiest ways to keep your tax bill down. As long as you meet the income requirements (for 2014 you can make as much as $60,000 as a single person, or $96,000 as married filing jointly; if you don’t have access to an employer plan those limits are lifted for single and $181,000 for married filing jointly), you can contribute to a traditional IRA. A traditional IRA helps those who want to save on their taxes now, but keep in mind that taxes will come due eventually. Suppose you put $5,500 into your IRA (the current limit for those 55 and younger; 55 and older can do $6,500) this year. You can then deduct $5,500 off of this year’s income. However, when you withdraw that money during retirement, you will owe taxes as though the money was earned the year you take it out. To get your tax bill down for this year, put more into your IRA. One of the easiest ways to do good with your money is to donate to charities. There are thousands of worthwhile organizations across the country, but I would suggest you donate to a local group. From churches, to homeless shelters, to community groups, there is surely a charity out there that you would like to support. The good news is that you can give away as much of your money as you would like. Even if that means you donate $100,000 to a group, you can write off the $100,000 from your current income. Be sure to check out charitynavigator.org before you send just anyone money though; you will want to make sure they are legitimate. Do you have investments that just aren’t cutting it? You can sell them and write the loss off on your taxes. As hard as it is to invest money and get less money back, it can be an effective tool to reduce your tax bill. Keep in mind though, that selling a stock to capture that loss prevents you from buying back into the same stock for 30 days. If you do, it’s a wash sale and your losses won’t help you. If you have a high deductible health insurance plan, you may be eligible to open a Health Savings Account (HSA). This unique plan allows you to pay for medical expenses with before-tax money. Unlike a flex plan offered through work, the HSA money doesn’t expire at the end of the year. Keep in mind that the money must be used for health related items, but can’t be used for OTC medications. Yes, it may seem counter intuitive, but one of the best ways to save money is to spend it. An accountant, such as Mike here at A+ Accounting, can actually help you get a bigger refund on your taxes. By legally utilizing the tax laws, an accountant will find every deductible that you qualify for. Many of these you wouldn’t have known about and subsequently would have missed. Not only that, but you will save a whole lot of time by letting someone else prepare your taxes. Reducing your tax bill is the goal of just about every American. Before 2015 rolls around, take a few minutes to see if you can take advantage of any of these tips to keep your liability as low as possible. When it comes time to file that return, an accountant in Billings, Montana will help you get the biggest refund check possible. As a financially savvy adult, you likely know about emergency funds. But if you are like most Americans, you have yet to really get started saving into your emergency fund. This little slush fund, that comes in extra handy during the leaner months, is a tool that everyone needs to utilize. In fact, even before you make the commitment to start saving in your IRA, you should be saving into your emergency fund. Any accountant in Billings, Montana, or financial planner will tell you that. 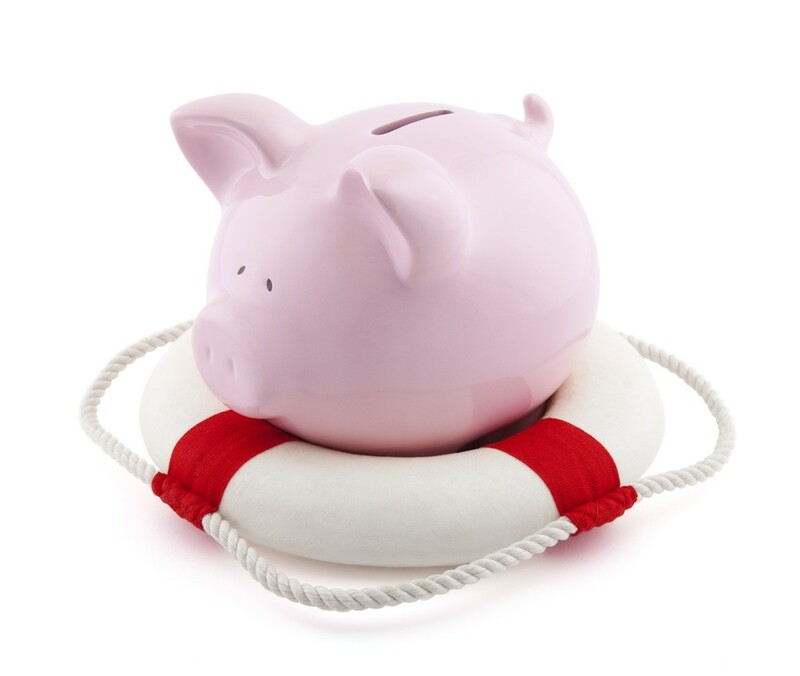 So what are the benefits of an emergency fund? Here are just a few. Paying Taxes – As much as we hate to do it, we have to pay our taxes. And as much as most people hate to work, the fact is that one job often doesn’t meet our living expenses. So we pick up a side job, or start a little business on the side (in personal finance blogs across the internet you can see this referred to as a side hustle). While it is tempting to just take that money and not report it as income, if you are going to do the right thing you need to report it. But adding that to your tax return may suddenly drop you from getting a tax refund, to having to pay in. This can be discouraging for anyone, but it can be even more discouraging if you don’t have a source of funds to dip into to pay those taxes. An emergency fund is designed for this exact occasion. Unexpected Expenses – There will come a time when your car breaks down. You will get sick or injured and be hit with an unexpected doctor bill. You are going to foolishly leave the turkey in the oven too long and it will start a fire causing you to fry your oven from the inside out and then you will have to go buy a new oven. These things happen, and while we call them “unexpected” we can fairly well rely on them. They really are not that unexpected after all. When you have an emergency fund set up and properly funded, these expected unexpected expenses are no big deal. You have the money, you saved the money for this reason, and it only takes a few clicks of the mouse to transfer the money from your savings into your checking account. Opportunities – Many financial professionals won’t call it an emergency fund. Instead, they prefer the term opportunity fund. Because sometimes there are opportunities that come up that you just hate to pass on. But if you don’t have an emergency (opportunity) fund, then you really do have to pass. That can be a great business opportunity, a really sweet deal on a vacation, or your dream car just hit the market. If you want to be able to take advantage of the opportunities that life holds, you need to have an emergency fund. The list of benefits of an emergency fund goes on and on, but I think you get the point. Without an emergency fund, you are putting yourself in a position that could be devastating to your financial health. Instead of taking that risk, make the commitment for 2015 to start your emergency fund. Just $25 or $50 per month will go a long way to offsetting some of those little surprises that life can throw at you. A financial planner can help you figure out an emergency fund, and an accountant in Billings, Montana can help you make the most of your taxes so you can adequately fund your opportunity fund. Is Rental Income Fully Taxable? Owning real estate can help you offset your tax bill. Things like property taxes, mortgage interest, and PMI are all deductible. If you choose to rent out your property for the purpose of augmenting your income, it is important that you familiarize yourself with basic information related to it so that you will be able to maximize your earnings by maximizing your tax deductions. Let Practical Taxes explain what you need to know about rental income and taxes. Rental income refers to any payment you receive for the use of your property. Like other types of income, it has to be reported in the same year when you received it, even if it is supposed to be payment for the following year. For example, you enter into a contract where your property will have a 5-year lease. If your lessee pays rent for both 2016 and 2017 within the year 2016, you have to report both payments as income for the year 2016. Likewise, if you make use of security deposits for final rent payment or to cover damages caused by the tenant, this should also be included as part of your income in the year when you received it (typically the year when your lease contract started). Don’t include security deposits, though, if it is to be literally used as a “security deposit”, meaning that you will return it to your lessee at the end of the lease. In case of lease cancellation, the payment you receive will still be considered as rent, thus, it will also have to be reported as part of your rental income for that year. Rental income and expenses are reported through Schedule E of IRS Form 1040. 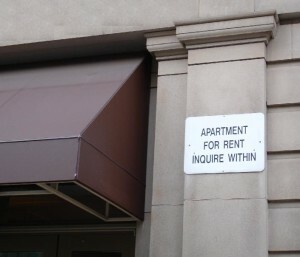 What Expenses can be Deducted from Rental Income? Repair costs such as fixing faulty plumbing; replacing broken doors, windows or cabinets; repairing damaged appliances; or repainting chipped or cracked paint. Maintenance fees such as utility expenses, cost of supplies, cleaning expenses, wages paid to maintenance personnel, salaries paid to managers or supervisors running the rental property, homeowner association dues or condo fees, pest control fees, and garbage disposal fees. Tax-related fees such as legal fees paid for tax preparation, mortgage interest payments, and local property taxes. Travel expenses you incur when the purpose of your travel is to check on your property or do other tasks related to renting your property such as collect rent. Losses from natural disasters (fire, flood, hurricane, Godzilla attack) or theft. What Expenses cannot be Deducted from Rental Income? At some point, you might consider upgrading or modernizing your property for better appeal and resale value. Expenses that are incurred for such purposes are not necessary to continue operating your rental property and are therefore not deductible from your rental income. Examples are structure additions (such as a new floor, a new room, any extension, a swimming pool) and constructions that can extend the usefulness of your property (such as adding a new roof or installing insulation). To recover from expenditures like these, you may report the expenses as depreciation deductions through IRS Form 4562. Unlike expenses which you can deduct in full, depreciation cost has to be spread out equally over the number of years it is expected to be useful. As for rental-related losses incurred, special rules referred to as Passive Activity Rules (PAL) will apply. In a nutshell, these rules restrict you from using passive income losses (such as those from your rental activities) to offset other taxable income that you have. If you are considering buying a house, condo, or apartment building to be used as a rental, you need to know some of these rules. If you have been considering it, but you haven’t taken the plunge, don’t let this dissuade you! Owning a rental can be a great source of revenue. The best part of collecting rental income is that you just need to keep track of the numbers. Then let Practical Taxes, your accountant in Billings, MT, handle the rest. We have trained accountants that fully understand the rental income tax laws so that you don’t have to learn them. So you’ve got a great product, business, or service to offer. You’re sure because the small number of people who’ve tried it sing nothing but praises. So how do you go about promoting your product without having to spend that little profit you have earned so far? Your online advertising budget can only go so far. Use the power of the Internet to get noticed online with these 3 simple tips. Even with social media around, it’s safe to say that everything starts with your website because it is the first thing that people will go to for information about your business and your brand. It’s been said that first impressions are always the last. With this in mind, you have to make sure that your website is not only visually appealing, it is crucial that you work on having your loading time as short as possible. As fast-paced as everything is right now, you don’t want people leaving your site even before you are able to present your brand. Once they are in, they should see clear, organized, and accurate information. One of the quickest turn-offs is being provided with erroneous information — from incorrect contact numbers or operation hours, or something that’s much more disappointing like displaying an offer that is no longer available. Work on having a website that is nice-looking, responsive, informative, and up-to-date. Keep in mind that websites are get-what-you-pay-for. If you plan to spend just a little bit, expect to have a website that looks like you didn’t invest much. Having accounts on social media, as well as having a blog, have become an integral part of online branding efforts. Typically, you blog about information that your targeted audience is searching for, and then share your posts on your social media platforms. That’s just part of the strategy, though. More than just publishing content that’s worth reading, you should make it a point to interact with your audience — not just in general, but on a more personal level. Don’t be a mere observer, participate too. Thank them for liking and re-tweeting. Respond to their comments. Offer your insights and share some additional inputs. Make them feel that you do not just view them as customers or consumers, but as human beings who have to deal with everyday life experiences. Relentless pushing of your products is a no-no. Instead, try to build a positive relationship with your audience. Win their trust and you’ll likely win their loyalty too. Don’t just sell — connect! While it is tempting to do what everyone else is doing and copy marketing tactics that seem to catapult other businesses to success, it is important to stay grounded and accept the reality that just because it is working for many, it doesn’t necessarily guarantee that it will work for you too. Before going any further, it is important to clearly define what your brand is all about, and what you really want to be known for. Think of something that will set you apart from everyone else. All your strategies should revolve around this. Regardless of what channel you use, the actions you do and the things you say should support and reinforce your ideal brand image. We can’t run your social media for you, or build you a website, but we can help when it comes time for your business to grow. Whether you are freelancing right now in order to bring in side income, or if you are in the throes of building a business, we have services to meet your needs. Practical Taxes offers payroll services, business tax preparation (as well as individual), and more. If you are looking for the best accountant in Billings, MT, then you have come to the right place! 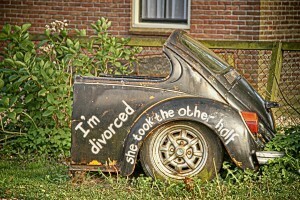 Have you wondered how divorce affects taxes? Perhaps you are in the midst of a separation, or you are recently divorced. Going through a divorce is hard enough. Thinking about taxes at the same time might just be borderline torture. To help lighten the burden, even just a little bit, here are the most important things you need to know when it comes to taxes amidst divorce, particularly for the first year after. Keep reading as your Practical Taxes, your tax preparation specialists in Billings, Montana explain what you need to know. As long as your divorce decree has not been finalized yet, your filing status remains a choice between married filing jointly, or married filing separately. Once finalized, you lose the joint return option and your choices revert to single, or head of household (if you and your spouse lived separately for at least the last half of the year, you had a child (or children) living with you for more than 6 months during the year, and you paid for more than 50% of the cost of maintaining your home to care for your child (or children). Only one parent can claim a child as a dependent. To be able to claim your child, you must be what is referred to as the custodial parent. This means your child should have lived with you for more than 6 months out of the year (longer than he/she did with your ex-spouse). As a non-custodial parent, it will only be possible to claim dependent exemptions if the custodial parent agrees not to claim the exemption by signing a formal waiver or written declaration (IRS Form 8332). Simultaneous with the dependency exemption, the spouse who claims it is also entitled to claim the Child Tax Credit (up to $1000 per child under 17 years of age), as well as one of the higher education credits — either the American Opportunity Tax Credit (up to $2500) or the Lifetime Learning Credit (up to $2000). If you’re the one who’s paying alimony, you will be entitled to tax deduction for the payments, provided you pay the alimony in cash, and the conditions of the alimony are explicitly expressed in the divorce settlement/agreement. On the other hand, the recipient of the alimony will have to pay income tax for the amount received. Conversely, payments for child support are not deductible, and child support payments received are not taxable. The IRS recognizes that supporting one’s child is a parent’s obligation, so child support payments are deemed tax-neutral. When it comes to medical expenses, even if you are not the custodial parent, you can claim these as deductions if you have been continuing to pay your child’s medical bills even after the divorce. When property is transferred to one spouse, the recipient does not need to pay tax for that. It is only when he/she decides to sell it that capital tax gains will be charged. The bad news? The tax will cover the cumulative value from before the transfer was made up to the present. To illustrate, if the husband transfers real property to his wife, no tax will be charged yet. When the wife sells the property later on, she will be charged with capital gains tax on the appreciated value from the time the property was still a joint ownership, up to the present time when the property is being sold to a third party. For retirement savings, it is advisable to do the transfer under a QDRO (Qualified Domestic Relations Order). This will give the recipient access to the funds, and will relieve you of the burden of paying the tax. The good news is that you don’t have to worry about your taxes. Just bring in the appropriate paperwork (most will automatically be sent to you shortly after the new year begins), and we will take care of the rest. Our highly trained accountants understand how divorce affects taxes so that you don’t have to. Practical Taxes offers affordable tax preparation, and other accounting services, to the Billings, MT community. When many couples have children, they fully expect to return to work after a few months off. However, when they see the costs of daycare, they re-evaluate leaving their child, or children, all day long to be raised by someone else. For some, the cost of not being with their kids all the time is more than just the money. So the decision is made to become a stay-at-home parent. Before that goes into effect, however, there is a lot of planning that needs to be done. 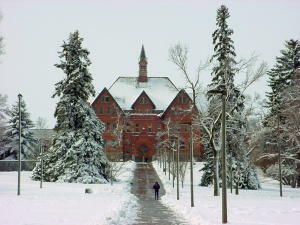 Your accountant in Billings, MT explains the financial impacts of being a stay-at-home parent. It goes without saying that becoming a stay-at-home parent will cause one income to disappear. But there are other considerations as well. Let’s suppose that both you, and your spouse, were earning $3,000 per month take home pay. Your income won’t exactly be cut in half if one of you decides to stay home. After factoring in a reduction in expenses (like commuting, eating lunch at a restaurant, work clothes, etc.) you might only see a reduction in pay of about $2,500. But don’t expect expenses to drop. When the kid, or kids, are still small (under about 10 months old) expenses are minimal. Most of the clothes are hand-me-downs, good is breast milk or formula, there are no special activities, play dates, or outside expenses. But as the children get older, household expenses go up. Clothes and toys get more expensive as time goes on. Daytime activities that help both parent and child maintain their sanity accumulate bills. If you are going into being a stay-at-home parent, you can reasonably expect life to get more expensive instead of cheaper. Before you left your work to stay home and raise children, you were likely investing in a 401k (or something similar). Your retirement planning was based around the two of you working. Now that you’re home, those investments have ceased. If you still want to retire on time, you still need to invest. Fortunately there are ways for you to do so. As a stay-at-home parent, you could freelance, or earn money on the side. This will give you a taxable income, and allow you to contribute to your IRA (up to $5,500 in 2015). The alternative is that your spouse can contribute to a spousal IRA for you. Having a baby brings about huge changes in your life; even if both parents continue to work. Making the commitment to being a stay-at-home parent brings even bigger changes. Fortunately, there are ways to make the transition easier. 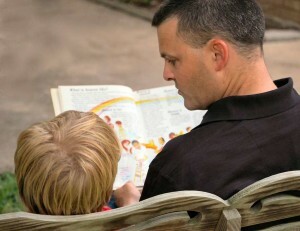 Practice – Before the child comes, practice living off just one income. Take 100% of the money that the future stay-at-home spouse makes, and stash it away into a baby fund. This will help in two ways. First, you will see how much you need to cut back in order to make things work. And second, it will provide a nice buffer in case you have unexpected expenses pop up (by “in case you have” we mean “when they do come because they most certainly will come”). Flex – Having a child is a time to practice flexibility. You have to be able to adjust to the baby’s schedule. Adjust to baby activities. Adjust to finding free activities that are fun, healthy, and enriching for the child. Sometimes a day at the park is worth far more than an expensive trip to a museum, aquarium, movie theater, or anywhere else. Relax – Living on less is only temporary. When the child is older, and in school, you can go back to working (at least part time). This will help relieve the financial burden that you experience now. It’s only temporary, so take time to enjoy life as it happens. Fortunately, the government does provide tax breaks when it comes to having children. In order to maximize those breaks, you need an accountant that understands them, and will work hard to make sure that you are getting the biggest refund possible. Instead of trying to do your own taxes, let us do them for you! You can spend more time with your children, let a professional accountant handle your tax return, and get a larger refund than if you were to do everything yourself. Call us at 406-894-2050 to schedule an appointment. Most people want to reduce their tax bill as much as possible. So they look for all of the tax deductions that they can find. While this is a great way to lower your taxable income, to really look for a reduction in your tax bill, you want to look for all of the tax credits that you can find. If you are working on preparing your taxes, and you are wondering the difference, don’t worry. Most people we talk to only have a little bit of an idea of what the difference is between a tax credit and a tax deduction. Keep reading as your accountant in Billings explains. Every year, when you file your taxes, you have to report how much income you made. Most of the money you make is subject to taxes. But the government does allow you to reduce the amount that you report when you have spent that money elsewhere. These tax deductions lower the amount of money that you have to report, and subsequently lower your tax bill. For instance, if you spend $2,500 on property taxes in any given year, the government doesn’t want to tax you again on that money. So you can deduct the amount spent on property taxes off of your taxable income. Assuming that you are in the 25% tax bracket, deducting that $2,500 will lower your tax bill by $625. What is a Tax Credit? Tax credits are far more valuable than tax deductions. In order to encourage people to pursue more education, adopt children, and a variety of other pro-social activities, the government offers tax credits. These credits will lower a person’s tax bill dollar for dollar. For instance, let’s suppose you spent $2,000 on tuition to earn your degree this year. That’s good for the economy, good for you, and good for everyone all around. The government wants to make sure that you’re not being taxed on that $2,000, and because they’re so generous they actually want to reward you. You can claim the American Opportunity Tax Credit and receive a credit toward your tax bill. Regardless of which tax bracket you are in, a credit worth $2,000 will lower your tax bill by $2,000. If you’re wondering how to do your own taxes, and maximize your refund, then you need to pay attention here. Maximizing your credits will go the furthest to offsetting your tax bill. Naturally if you are working with an accountant, such as one of the professional’s at Practical Taxes, then they will automatically check to see if you qualify for one, or more, of these credits. There is no need to slog through your taxes every year. Instead, an accountant at Practical Taxes can take care of all of the tax preparation work for you. You bring in your documents, we find you the biggest refund possible, and you only have to worry about collecting your check from the government. It really is that simple. Want to learn more about how we can help save you a lot of time and money? Give us a call at 406-894-2050 and learn about our tax preparation services in Billings, MT. 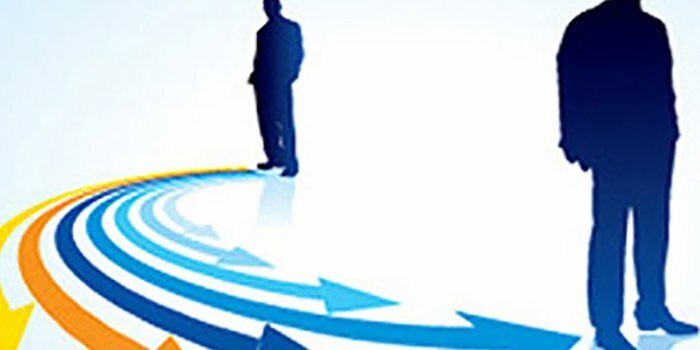 If you are a business owner then you are always on the lookout for how to run a better business. You want to have a clean and fluid business that can operate without you. You want to be able to take a vacation and know that when you return, there won’t be a pile of work for you to get done. But you wonder how can that can even happen? You’re scraping by now and can only dream of those days. It all starts with taking small steps. 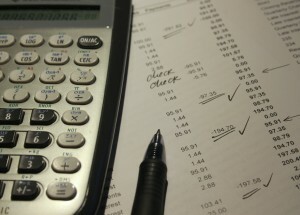 Let your accountant in Billings, MT explain the three steps it takes to run a better business. There are two different types of marketing out there: branding and marketing. Branding is letting people know who you are; marketing is letting people know what you sell. Many businesses skip the first step, and jump right into the second step. Before you can sell a product to your customer, your customer needs to be familiar with your face. Let’s look at it this way. You need life insurance and the only two companies that you can find are MET Life and XYZ Financial. You have seen the Snoopy commercials, you know “Get MET, it Pays”, and you’re familiar with the brand. XYZ Financial says they offer a premium product for 20% less than MET Life offers. Who do you choose? Most people will go with MET because they trust the brand (although they know nothing about the brand other than they have heard the name often). As a business owner, you want your name to become a household name (Coca-Cola, Kleenex, Apple, Toyota, etc.). When people already know your name, then they will be more likely to buy your product. A good sales person knows this rule of sales: make it all about the customer. Don’t tell them what you have to offer, tell them how you can solve their problem. See the difference? The first pitch is all about how great the product is. The second is all about how the product helps the customer. Meet the customer’s needs, and the sale will make itself. One of the biggest business killers is lack of organization. If you want to run a better business, you have to invest time (every single day) into staying organized. Doing so will help ensure that you will remember to reply to all of those emails, return phone calls, and get everything done. Look at it like this. Suppose you remain unorganized. Every morning, before you get any work done, you have to spend an hour remembering where you left off the day before, figuring out what project you are working on, and de-cluttering your desk. Now let’s suppose you spend 15 minutes at the end of every day organizing for the following day. Now you have that entire hour at the beginning of the day (when you are fresh and thinking clearly), to get as much accomplished as possible. You can run a better business with ease because you gave yourself a boost. As a business owner, you have a lot on your plate. You have work to do, prospects to follow up with, and phone calls to return. The last thing that you want to do is worry about your taxes and payroll. Don’t muddle through doing your own taxes, leave them to us! 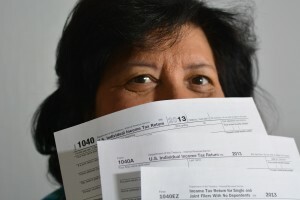 We offer affordable tax preparation services here in Billings, MT. We spend our time on your taxes, so you can spend your time learning how to run a better business. Freelancing has taken off in popularity in recent years. It’s easier to find the jobs with the help of the internet, wages have been stagnant for quite a while, and the idea of earning a few hundred to a few thousand extra dollars each month is appealing. What happens, however, is that many people begin freelancing without taking into consideration the effect that it will have on their taxes. There is nothing wrong with bringing in money on the side, and you don’t have to be set up as a business to do it. But you do need to make sure that you are keeping track of your income, and know just how much you will pay in taxes come tax season. When you are an employee, you get the benefit of having taxes automatically taken from your paycheck. While many people hate this, claiming it’s a free loan to the government, it’s actually in your best interest. Your employer pays a portion of your taxes for you. Legally they have to pay half of your FICA taxes, as well as provide worker’s compensation insurance, and submit your taxes without charging you. In the end, you get the better end of the deal. That’s not the case as a freelancer. Your taxes as a freelancer are going to look vastly different than your taxes as an employee. And there are several reasons for that. No Withholdings – As an employee, a portion of your earnings are held back. As a freelancer, you don’t get that option. 100% FICA – As an employee, your employer pays 7.65% of your FICA taxes. As a freelancer, you are responsible for the full 15.3%. Self Employment Tax – If you’re confused about the FICA portion above, don’t worry. As a freelancer you pay self employment tax; it’s just paying the employer share of FICA taxes. Without regular withholdings, and having that extra 7.65% included in your taxes, your tax bill can add up quickly. Especially if your freelancing brings in a lot of money. But there is a silver lining. The self employment tax is deductible from your income. And being self employed you can write off a significant number of things: such as a portion of your cell phone bill, some of your utilities, mileage getting to and from meetings with clients, supplies, and more. Keep accurate records, save receipts, and don’t try to cheat the system or an audit might not work out well for you. So what will your taxes as a freelancer look like? First you need to estimate your total household income. Let’s suppose it is $50,000 plus $12,000 you make from freelancing. Using Bankrate’s income tax calculator, we see that you owe $11,290 (after standard deduction and writing off the employer half of FICA taxes). Without the freelancing income, your tax bill is $6,806 (not including any deductions you may have made for business expenses). Earning $12,000 increased your tax bill $4,284. When it comes time to do your taxes in the spring, make sure you have figured your taxes as a freelancer. Fortunately, all you have to worry about is having enough in your savings account to cover anything that is owed when tax season rolls around. Leave the rest of it up to Practical Taxes, your accounting expert in Billings, MT. We know the laws, we know the rules, and we can help you get the largest tax refund possible. You work hard to earn extra income as a freelancer, don’t give all that money back to the government if you don’t have to! Practical Taxes is located at 1503 13th St. West in Billings, MT. We can prepare your taxes, help with your bookkeeping, understand your taxes as a freelancer, and do payroll if you need it. Call us today at 406-894-2050. You have probably heard the saying, “No one cares more about your money than you do.” No matter how much your financial advisor says they care, you care more. No matter how much your tax advisor says that they care, you care more. That is why you should make sure that your tax documents are in order, before you bring them in to Practical Taxes. After all, we can’t get you the deductions if we don’t know about them! With a couple of months left in 2015, you have some time to get everything in order. After the calendar flips to January 1st, it’s too late to make donations to lower your tax bill. So now is the time to get it in order. We have put together a yearend tax checklist for you so that you can make sure your ducks are in order, or your receipts, unless you have a duck business that is. The process is simple. Just go down the list, and determine if you need to change anything in these last two months. Calculate Your Estimated Income – If you are on salary, this isn’t hard to do. You just have to take a look at your paystubs and see where you will land at the end of the year. In all likeliness you already know what it will be. Estimate Taxes Paid – At the end of the year you will probably have paid some taxes already. Determine how much you have paid. Calculate Your Tax Bracket – This isn’t too hard to do, there are many online calculators that you can use to figure out how much you owe in taxes. Determine your Refund Amount – Or if you haven’t paid enough, determine how much you will owe. Increase Deductions – You have 2 months to get your income down enough so that you won’t owe any taxes. This can be done through charitable giving, increasing retirement account savings, or otherwise reducing your income for the rest of the year. Keep in mind that your standard deduction for 2015 will be $6,300 ($12,600 for married filing jointly). 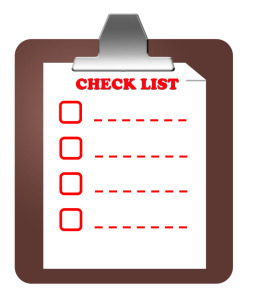 That’s all there is to your tax checklist. But it is easier said than done. Let’s suppose that you and your spouse make $100,000 per year for your combined income. This puts you square in the 25% tax bracket. You like the fact that you get more in each paycheck by minimizing your withholdings, so over the course of the year you only had $4,000 (each) withheld. You have no itemized deductions. Using the TaxAct calculator, at the end of the year you will end up owing $3,444. You would rather not pay that, so you need to give to some charities or contribute to your IRA (or other qualified retirement plan). But how much do you have to give? Until you give over the standard deduction ($12,600) it is better not to itemize. So your starting point is giving $12,600. If you maximize your deductions to $13,000, your tax bill lowers by just $100. You still owe $3,344. Let’s suppose you make some sacrifices and you are able to get your deductions up to $20,000. You still will owe $1,881. Not nearly as bad much as $3,444, but still a big chunk of money. In order to get your tax bill to $0, you have to reduce your taxable income by $32,501! For most that won’t be feasible in just two months. 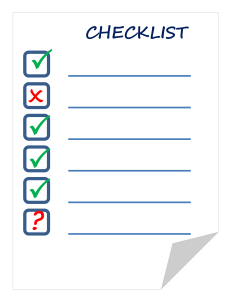 This is why tax planning all year long is necessary, but a year end tax checklist is a start. Practical Taxes provides affordable tax preparation services in Billings, Montana. If you are looking for an accountant to do your taxes, we are your resource. If you are wondering, “how do I do my own taxes?” we can help you out by taking away that burden. 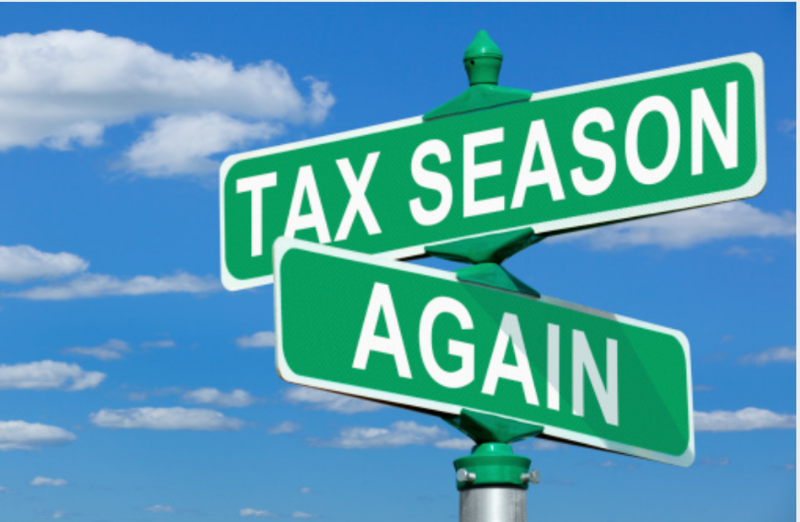 If you want to reduce your tax liability next year, come to us this year and we can give you pointers. Schedule your appointment with Practical Taxes in Billings, MT by calling 406-894-2050. As humans we have a wide array of fears. Many fear death, many others fear failure. Some fear spiders, some snakes, some fear other people. The business owner compounds those fears with other fears that other people don’t ever experience. For instance, the business owner fears what will happen if his top client drops off. Or perhaps he fears that nobody will ever take his business or product seriously. If you want to be able to overcome your fear, your first step is to understand what you fear. Let’s suppose you are afraid of snakes. Your initial reaction is to say that you fear snakes. They give you the willies and whenever you look at one you get a creepy crawly feeling. But what you are describing is the feeling you get from the snakes, not the actual fear itself. Instead, you have to dig a little deeper. 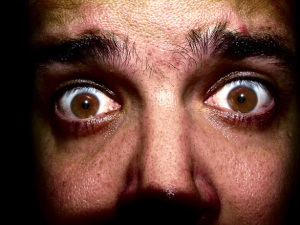 Your fear likely stems from something you saw or heard when you were younger. You fear that a snake will bite you, poison you, and you will end up dying (yours is a fear of death, not exactly snakes). Or you are scared that one will wrap around you and never let go. Or perhaps you worry that one will crawl into your mouth. The idea is that you don’t fear the snake per se, but rather what the snake can do to you. Let’s take a look at the business owner. Many claim that they fear failure. But really they do not fear that their business will fail; but rather that they won’t be able to make the income that they need. It’s not exactly about the business failing, but about how it reflects back on them (fear that their reputation and sense of self worth will be damaged) and about how they will survive without this business (a true entrepreneur knows that they will fail, and they have to start again from a new angle). More than anything, though, the business owner has a fear that trumps all others: regret. This is why many entrepreneurs take some big risks. They know that their idea should work, but they are unsure of whether or not it will work. They are afraid of failure, but even more they fear the regret that they will have if they don’t even try. Determine which fear is setting you back the most. Then deeply analyze that fear and find the root underlying cause. Doing so will help you understand where your fear comes from, and how to overcome it. When you have boiled things down to exactly what you’re afraid of, then you can take steps toward dispatching that fear. This is the hard part and requires you to constantly face the fear, and push through it. Every time you overcome, it gets a little bit easier. If you are a business owner, you have a lot on your plate. As a full service accounting firm in Billings, Montana we can help you overcome some of your fears by taking the stress out of your day. 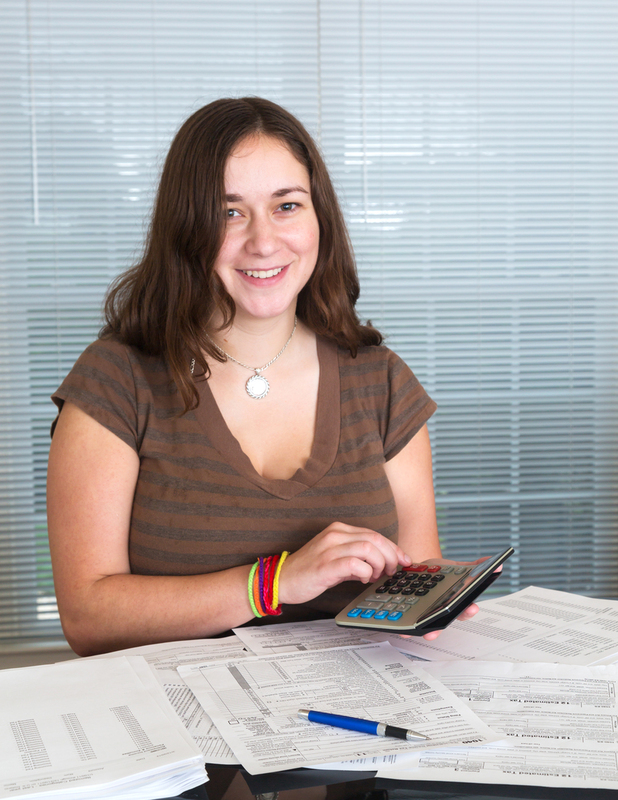 We offer a variety of services, like payroll, tax preparation, bookkeeping, and more. Let us take care of your busy work, so you can take care of overcoming your fears. Successful people all have this in common: they are highly focused on the things they do well. They don’t worry about the little things, they outsource the items that they aren’t good at, and they make systems that take care of everything so that they don’t have to worry about the little things. Are you automating? Your payroll services specialist in Billings, Montana explains how automation can grow your net worth, increase your productivity, and retain your sanity. Basically speaking, just about everything can be put on autopilot. Most of your bills have the option to pay automatically every month. 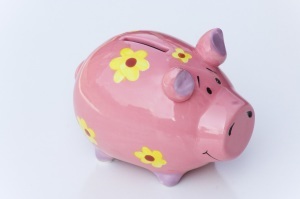 Most of your savings accounts can be set up to transfer money every month. In fact, most people are already being paid via direct deposit (automatically) every month. Letting computers do the work allows you to focus your energy and efforts elsewhere. Have you taken the time to see what the penalty is for paying your bills late? Chances are that you haven’t; most people don’t. For most mortgages, if you pay late, you owe an extra $35. Credit cards are usually about $20. Utility bills often give a grace period, but can be 2% of the bill (or $5 whichever is more). These costs add up quickly, and a couple of late payments each month can result in charges of $100 or more. When you automate your finances, you don’t have to worry about paying anything late. All you have to worry about is making sure that you are working hard in order to bring in enough money to make sure there are no overdrafts when those automatic payments go out. But the benefits go beyond just paying your bills. You can automate your savings and your investments as well. The reasons are clear: humans are silly and fickle. There have been multiple studies around that show if left to our own willpower to save and invest, most of us will forget at least a couple times per year. This means you will lose out on a lot of savings and investments over the course of your life. However, if you take the emotions, willpower, and decisions out of it, then your automated savings and investing are doing the majority of the work for you. For those who are business owners, there is more to it than just automated bills and investing. You can also automate services and chores. For instance, your payroll can all be automated. You just confirm the numbers with your accountant in Billings, Montana, and then paychecks are all done for you (or direct deposits). No worry, no mistakes. Practical Taxes is a full service accounting firm right here in Billings. We can help you meet your business goals through consultation, payroll services, tax preparation, and much more. By taking these things off of your mind, you can focus on the things that you do best: and the things that bring in the most money. Call us today at 406-894-2050 to learn more. If you read enough about higher education, student loans, the cost of education, and personal finance, you will get a wide variety of opinions on the matter. Some will say that higher education is a joke, and you can get a great job without a college degree. Others will say that you need the education in order to truly be competitive in the market today. Some will agree that you need an education, but the costs are way too high; others will still claim it’s a great investment. Then there comes the matter of paying off your student loans and there are yet more opinions on the matter. How do you make sense of it all? Your accountant in Billings, MT explains what your options are after you have decided to get a degree, and you are now stuck paying off your loans. If there is one good thing that comes from having large student loans is that you get to deduct the interest you pay on them from your taxes. Since the loan rates vary depending on when you received the funds, we will use an average of about 4.5% interest (you could likely be higher, or lower, than this rate). And since the amount you owe varies depending on how long you went to school and where, we will use $40,000 as the total amount owed. Every year you will pay back some of your loans, and every year the interest you pay will get smaller and smaller. Our analysis looks at the first year on loans with a payback period of 15 years. Using these numbers, your loan repayments will cost you $306 per month, for 180 months. You will pay a total of $55,079 and $15,079 will be interest. During your first year you pay $1,760.90 in interest, and $1,911.10 in principal. The good news is that you can deduct this interest off your taxes, even if you don’t itemize your deductions (the standard deduction is $6,300 for a single filer in 2015). So your student loans will save you $440 (assuming a 25% tax bracket) no matter what your other deductions turn out to be. But that loan is still costing your $1,320 per year. Many people hate to be in debt. Even thought student loans are considered “good” debt in the sense that they help you earn more money and the interest is deductible, most want it gone. This is actually not that hard to do, but it does require some planning, discipline, and hard work. Using a Bankrate Student Loan Calculator we can find out how much faster you will pay off your debt by figuring in additional payments. Suppose you add $100 every month to your payment, then you pay off your loan 5 years sooner and save around $5,000 in interest. Bump that repayment up by $250 and you save $9,000 by paying them off 8 years sooner. But the bigger question is how do you come up with the money to pay off your loans faster? The answer is to start pulling some side jobs. These are any skills that you have that you can monetize. Cleaning houses, mowing lawns, fixing cars, writing for websites, or anything else can all be monetized if you market to the right person. Putting 100% of that extra income toward your loans can wipe them out incredibly fast. Want more proof? Check out Joe Mihalic’s blog about how he paid off $90,000 in student loans in just 7 months. With a little frugality, some entrepreneurial spirit, and a whole lot of discipline, there is no reason that you shouldn’t be able to wipe out your debt in just a few short years. If you are spending your time earning extra money in order to pay off your loans quickly, you will need all the time savers that you can get. If you are pulling a side job, then you will have tax consequences. Let us prepare your taxes for you so that you can focus on bringing in even more money. If your side business grows big enough and you need employees, let us do your payroll so you can focus on finding more jobs. We are a full service accounting firm in Billings, Montana. No matter what your accounting needs are, we can take care of them. Call us at 406-894-2050 to learn more. As your home gets older, and technology progresses, you may find that your energy efficiency is not quite what it should be. You are, essentially, leaking money out your walls and roof. Fortunately, the government knows this, and there are a number of tax rebates, credits, and deductions that you can get to help offset the cost of updating your home to something more energy efficient. If you combine those perks from the government with the energy savings over time, you may end up saving money in the long run all because you invest in your home. Your accountant in Billings, MT explains what the most popular rebates are, and how you can go about claiming them. Every year the government offers some credits for those who install energy efficient sources of energy. This does not include energy efficient appliances, updating insulation, installing new windows, etc. Those rebates are available, but they often change (for instance, there was a credit available for windows and doors that expired last year). Geothermal Heat Pump – A geothermal heat pump uses the earth’s natural cool and warmth to help heat and cool the house. During the winter the ground temperature is higher than the air temperature, and in the summer it is cooler. You can receive a tax credit of 30% with no upper limit if you put one in. 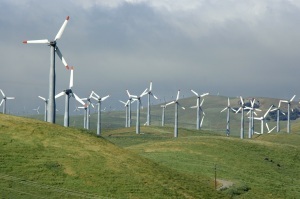 Small Wind Turbines – Wind is one of the best natural resources we have available. By installing a small turbine, or turbines, you can help offset your electricity use. Here in Billings, Montana we often get a lot of wind, so this is especially useful in our area. The same credit is available as with the heat pump. Solar Panels – There are two forms of solar panels available. One is the traditional panel that we see popping up: the photovoltaic systems that convert sunlight into electricity. But there are also solar water heaters. Both are eligible for tax credits of 30% of the costs. All three of these upgrades to your house can be expensive. But they all offer 30% tax credits. So if the system costs $10,000 (including installation costs), you can get $3,000 off of your taxes when it comes time to file next year. And then if you realize a savings of $1,000 per year that the system is in place, you will be making money after 7 years. Obviously all of that will vary depending on where you live, what type of system you install, and how much it actually costs you. You can learn more about these systems, what the requirements are, and how to apply by visiting the Energy Star website. Here at Practical Taxes we know all about the energy credits and how you can save money by installing one of these systems. If you need to consult with us to make sure it is going to save you money over time, just give us a call at 406-894-2050. We can even help you get the paperwork together as well. Practical Taxes is a full service accounting firm in Billings, Montana. We can help with your tax preparation needs, payroll services, business consulting, bookkeeping services, and more. The dream of many is to run their own business. They have a great idea, and to watch that grow and blossom, all while providing them an income, sounds like the most amazing thing ever. The sad truth, however, is that many of these business owners will never even take the first step. They have the idea, but it only ever remains an idea. Those who do take the first steps to starting their business will often see defeat. It is not because their idea is terrible; almost any idea CAN work. It is because they make this one mistake, and it costs them dearly. Your accountant in Billings, Montana explains how business owners set themselves up for failure. Most businesses start out on shoestring budgets. They don’t have the resources to hire out a lot of their work, and as a result, they stretch themselves thin. They have to run their business, as well as play all the other roles out there. So where do they err? Do they neglect the business in order to be a manager? Do they neglect their payroll services in order to run the business? Do they try to market the business but forget about bookkeeping? The answer is yes; business owners’ biggest mistake is not having a team of advisors. Consider this: when the president has to make a decision, even a small one, do you think he does an internet search and bases his decision on what other people in XYZ forum say? Of course not, he surrounds himself with people far more intelligent than he is, and takes their advice. When the CEO of Exxon has to make a decision for the company, do you suppose he looks over charts and says “I bet this will work”? Absolutely not. He consults his accountants, lawyers, managers, and executives, and then bases his decision off what they tell him. So why do owners of small businesses try to do everything on their own? It is the difference between scarcity and abundance thinking. The scarcity thinker believes that by doing the work himself or herself, money will be saved. The abundant thinker knows that by enlisting the help of others, so much more money will be made that the amount spent will seem miniscule. If you are a business owner, avoid the costliest mistake out there. Avoid trying to do everything yourself. Enlist the help of an accountant to do payroll services. Enlist the help of a marketer to design and advertise. Enlist the help of a writer to create search engine optimized web content. Enlist the help of an assistant to manage your calendar and make phone calls. This leaves you free and open to build your business and grow it to where it needs to be. Do you want your business to grow? Of course you do, why else would you be in business? Here at Practical Taxes we do just that. We provide business consultation, online payroll services, and much more in order to take you from a stagnant point, to a flourishing small business owner. Call us today at 406-894-2050 to set an appointment to learn how to grow your business. There are many people who are perfectly happy as an employee. They have found a great job that they love, and they don’t mind working for someone else. They like the fact that they don’t have to worry about managing the business, and dealing with all of that stress. But there are many more that don’t want to be an employee. They want to be their own boss, set their own goals, and watch a company that they started grow and expand. For those entrepreneurs, owning a business is a must for them. But where do you start? If you are a potential business owner, your accountant in Billings, Montana explains the first three steps to owning a business. There are two schools of thought when it comes to starting a business. There are those who write down EVERYTHING, and there are those who go with the bare minimums. Both can have successful businesses, but there is common ground between the two. You have to do your homework before you even think of starting a business. You need to research the market, study what people like and what they will pay for. You need to test the market (and that includes more than just talking to your friends about what they would like to see). And you need to adjust your business plan accordingly. If your plan says you will make widgets for $3 and sell them for $5, but the market will only pay $3.50 for a widget, you have to adjust your plan so you can still make a profit. If you are ecstatic about starting a turtle walking business, but there is no demand for your business, you need to figure out how to incorporate something else into your business. In order to become one of the 50% of businesses that last more than 5 years, you have to spend a lot of time planning, testing, and researching, before you even look at a business name. You will remember last week when we looked through the various types of business structures. There are pros and cons to each one, and depending on what your goals are will determine which structure you choose. If you have big plans of becoming a large company down the road, don’t even bother starting as a sole proprietor or LLC today. If you never plan to have any employees, and you will be the only one working in the business, then it is pointless to start as a C Corp. Determining your business structure is something that your accountant in Billings, Montana can help you do. And frankly, it is an easy thing to do. The harder part is filing the appropriate paperwork, and making sure everything is in order. Fortunately, you can sit back and just sign the papers when they are ready. Your accountant will take care of the rest. Businesses, no matter what they are selling or offering, can do well with two aspects that are extremely well tuned: marketing and bookkeeping. If you have done step one (the research, testing, and so on) then you will know exactly how to market your business and you will know exactly who to market your business to. That leaves bookkeeping, an aspect that many businesses are absolutely terrible at doing. Keeping track of spending and income is one thing, and most businesses can do that fairly simply. However, there is more to bookkeeping than just that. You have to know and understand your business inside and out. You have to maximize efficiency, trim the fat, and make sure it’s all going smoothly. The good news is that there are systems that you can put in place, before you even begin your business, to manage all of that (Quickbooks is an example). The other good news is that your accountant in Billings, Montana does just that for you. You focus on your passion and running the business, he focuses on keeping the numbers in order. If you have a dream, get started with researching it to make sure that it will be foolproof when you launch. Know the market, know the demand, and know what you can charge (charge too much and nobody will buy from you; charge too little and you will struggle to raise prices down the road). Get all of that research done first, and the rest should come much easier. Practical Taxes is located in Billings, Montana and provides all the services that a full service accounting firm does. From business consulting, to tax preparation, to online payroll services, to bookkeeping, all your accounting needs are met in one place. Call us today at 406-894-2050 to schedule your initial consultation appointment. Whether you are a business owner, or an employee, you can deduct travel expenses from your taxes. The one caveat is that the expenses cannot be reimbursed. So if you drive 500 miles, but the boss buys your gas, you can’t deduct your mileage. But no matter what your industry, and no matter what your job, you can likely deduct some of your business expenses and help to lower your tax bill. Your accountant in Billings, Montana explains how this is done. Before you can start writing off business expenses, you have to be aware of what travel expenses actually are. If you are taking the family to Disney World, and you decide to pop into the manager’s office at a nearby restaurant to talk about your business, you legally should not be trying to deduct the trip. Instead, the primary purpose of the trip must be business related (but that doesn’t mean you can’t do some entertainment type stuff while there). There are some other things that can be deducted, it all depends on the trip, where you will be going, and what the business activity entails. Your best bet is to just save all of your receipts while you travel for business, and then turn them in to your accountant in Billings, Montana when the time comes. You can always organize them out in a spreadsheet to make things easier. Sometimes you have to take a shorter trip. You plan to travel a hundred miles or so, spend the day, and travel back. There are no big expenses like hotel rooms, airfare, and often there aren’t even meals eaten. In these cases, you can still claim some deductions for business expenses. As long as you are using your personal vehicle, not a company car, you can deduct $.575 for every mile you drove (for 2015, this is up from $.56 in tax year 2014). This means that if you drive 100 miles round trip, you can write off $57.50 from your taxes next year. Keep in mind that you can’t write off the miles that you use to commute; so from home to office is not deductible. If you do a lot of traveling, say 500 miles per week, you would be able to write off thousands of dollars worth of miles. Keep in mind though, if you write off the miles, you can’t deduct the cost of tires, gas, oil, and other maintenance for your vehicle. 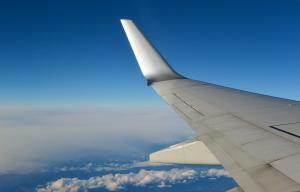 Knowing what you can, and cannot, deduct for business related travel can become quite confusing. Fortunately, that is why Practical Taxes is around. We know and understand taxes, and can help you wade through the conundrum. As long as you keep accurate records, we can help you to get the maximum amount of deductions possible. We can help with tax preparation, business consultation, online payroll, and more. Call us today at 406-894-2050 to learn more! Without investing your money, there is very little chance that you will have enough for retirement. Social Security was only ever designed to replace about 60% of your income, and very few people want to work past age 70 or so. But investing often comes with negative tax consequences; you have to figure out cost basis, pay taxes on capital gains, and worry that rebalancing will trigger a taxable event. Fortunately there are a few ways to invest and eliminate most of these tax worries. This means less work every year for your accountant in Billings, Montana, and it means fewer headaches for you to come up with the cash to pay your tax bill. This one comes first on the list because it is the best option out there for reducing your taxes. 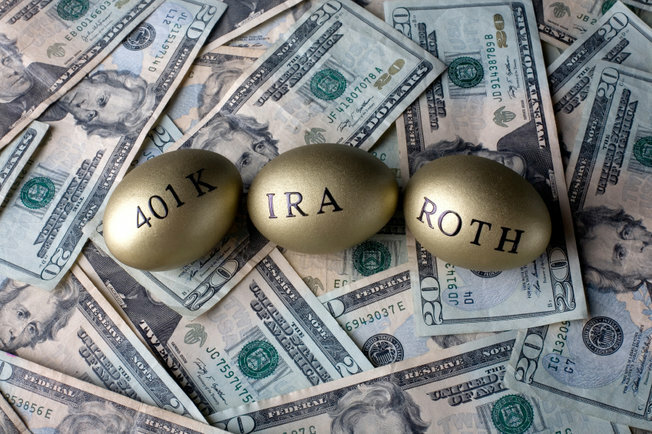 As long as you meet the income requirements for a Roth IRA, you can put in as much as $5,500 in 2015 (this number changes periodically to compensate for inflation). You pay taxes on the money now, but then after you turn age 59.5, you can pull the money out without worrying about taxes. Any gains or rebalancing in the account are done without tax worries. A traditional IRA is the next best option for reducing your taxable investments. The income requirements are similar to a Roth IRA, but they are a little different. With a traditional IRA you get to deduct the contributions off of your taxes the year you contribute, you can rebalance and not worry about the gains in the account until it comes time to withdraw the money. At that time anything that comes out of the account is taxed at your current tax rate. Annuities are largely underused investment vehicles today. But they do have a great number of benefits, especially for those who make too much money to invest in an IRA. Any money going into an annuity is taxable, but once inside it can grow and be rebalanced without worry. When it comes time to annuitize, or withdraw, the money, you pay taxes based on how much of the account is gains and how much was cost basis. 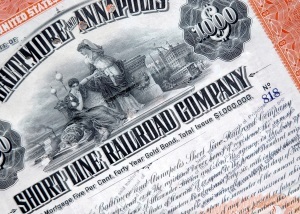 The government, both local and federal governments, issues bonds and other investment products. Money that is used to buy these investments is taxable, but then the gains are usually free from taxes. Whether or not they are taxable at the time varies by product, so it is best to talk with your accountant in Billings, Montana to determine which product is best to suit your needs. This is one that is often overlooked, and usually because it takes a bit more work than investing in securities. If you buy a house, and you live in it as your primary residence for at least two years, you can fix it up and sell it for far more than you paid for it. The great thing is that you get to keep all of those gains, and not worry about paying a dime in taxes (so long as you meet the requirements). Find a Realtor in Billings, Montana that knows the market if you think this is a challenge that you want to take on. We knows all about the tax laws surrounding investments. If you want to grow your wealth, but you don’t want to mess around with taxes and all that goes with them, then one of these investment vehicles may work well for you. We can help you decide which one is right for you. Practical Taxes is a full service accounting firm located here in Billings, Montana. We can help with tax needs, tax preparation, business consulting, online payroll services, and much more. Give us a call at 406-894-2050 to get learn more about how we can help you. Every year millions of people throughout the country prepare their tax return. They are looking to get the largest return possible, or in the event they have to pay into their taxes, they want to make sure they are paying the least amount possible. 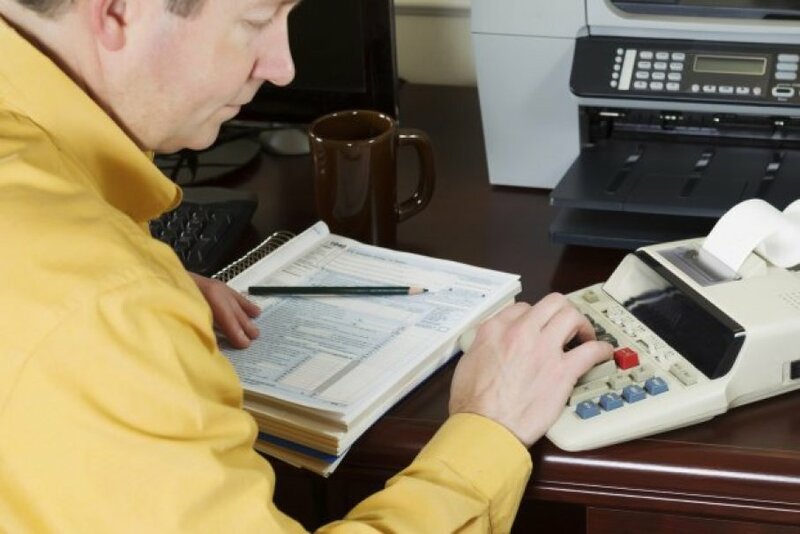 Using an accountant in Billings, Montana is the best way for you to maximize your tax return. Keep reading for more details on how it all works out. There are a lot of people who think that using software is the cheapest way to get their taxes done. And this is true if they meet a strict set of criteria and have a very simple return. However, most people won’t meet those criteria. Instead they spend hours upon hours doing their taxes, wondering if they got them done right, and then fretting that they might be audited. In the end, if they add up the number of hours they spent on their taxes, and assigned a time value to it, they end up spending even more than if they had hired an accountant in Billings, Montana. Combine that with the fact that they likely didn’t get as large of a deduction as possible because they weren’t aware of the deductions available, and that they have to worry about being audited, it all means they spent more than necessary. Filing your tax return with an accountant in Billings, Montana is easier than anything. You gather together all of your supporting documents, and then you make an appointment with Practical Taxes by calling 406-894-2050. Your appointment shouldn’t take very long, We are professional and courteous, and in the end you get a much larger refund than you could have received if you did your taxes on your own. An accountant, especially one that is available all year round, is an important asset to have. You can ask questions even outside of tax season, your accountant in Billings, Montana will be taking classes and training to stay up-to-date on the tax laws, and you can come back for any other accounting services that may pop up throughout the year. Tax season is busy for an accountant in Billings, Montana. So you should make your appointment as soon as you can. 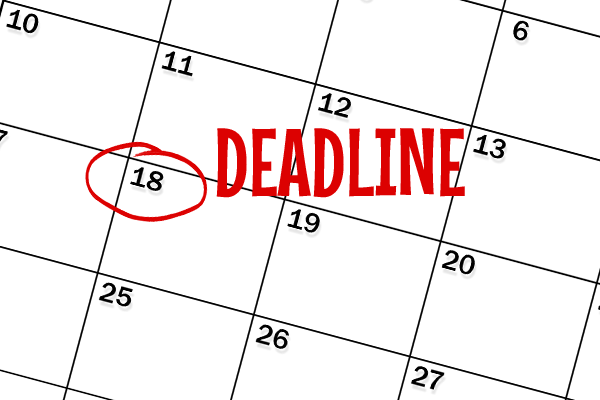 You don’t want to wait until the last minute to file; otherwise you will have to file an extension and may be subject to penalties. Call 406-894-2050 as soon as you have all of your tax documents in order to make your appointment with an accountant in Billings, Montana. Practical Taxes is a full service accounting firm. We are here all year long and do more than just tax preparation including online payroll services, business consulting, and more! Tax season can be daunting. In fact millions of people dread this time of year because they don’t want to gather all of their documents together, and then sit down for hours trying to figure out how to do their taxes. The problem is that they are trying to go with the absolute cheapest method of preparing their taxes in Billings, Montana. When choosing a method of preparing taxes, many people fail to take into account the value of their time. The cheapest way to do your taxes is to do them yourself. You can fill out the form by hand, use a program like TurboTax online, or buy the software. These programs are easy to use, and help to ensure that you complete an accurate tax return. The trade-off, however, is that you sit in front of your computer for quite a while. If you don’t have a value on your time, then doing your taxes on your own is the cheapest tax preparation service in Billings, Montana. However, if you do value your time, then things add up quickly. Most people will spend about 4 hours (or more) doing their taxes. This means for someone who values his, or her, time at $25 per hour, you are spending at least $100, plus the cost of the software, on your taxes. When all is said and done, you are looking at a minimum of $150. The alternative is to hire Practical Taxes. As an accountant in Billings, Montana, Mike knows the tax laws and understands what it takes to prepare your taxes efficiently and effectively. Chances are we will be able to find you even more deductions and boost your return higher than you would have been able to on your own. By using us you will cut your time spent down considerably. In the end you save a lot of time on your taxes, you increase the amount you get back, and you hardly pay anything more than if you did your taxes yourself. So if you’re looking for low cost tax preparation in Billings, Montana, using Practical Taxes is the way to go. Your first step to discovering low cost tax preparation in Billings, Montana is to set up an appointment with Practical Taxes. Simply call 406-894-2050 to set up your appointment. You will be so happy with the speed, accuracy, and affordability that you will never want to go anywhere else again! Practical Taxes is not a seasonal tax preparation company. We are a full service accounting firm and we provide services like online payroll, business consulting, as well as many others all throughout the year. Tax scams and tax fraud are huge drains on the US economy. They happen every year, and every year there are more and more scams that bilk people out of their hard earned money. Fortunately, there are methods that you can employ to help prevent tax fraud and prevent yourself from becoming a victim of tax scams. Awareness of the problem is the first step, here is more that you can do. This may seem like a no-brainer, but many people are casual with their identity. Whenever you get a credit card application in the mail, and let’s face it, we get these at least once per week; do you throw it away, or shred it? If you just toss it in the trash, you are subjecting yourself to fraud. Someone can dig through your trash easily, and steal your ID. Most online transactions are secure, but there are still some nefarious sites out there. Even if you don’t enter your information, malware can start tracking your movements. The next time you key in your social security number it can be stolen. Be careful with your ID, and run a malware blocker at least once per week. I prefer Malwarebytes because it’s free and easy to use. If you have never pulled your credit report, do it now. Actually, run a malware screen first, and then do it. Head over to annualcreditreport.com (the only government approved credit report site), and pull one of the three reports. You can pull a report from each of the agencies once per year without damage to your credit score and without charge. So pull one every 4 months and you can stay up-to-date on what’s going on. Any suspicious activity requires further investigation. The earlier you can file your taxes, the less likely someone will use your Social Security Number to file and steal your return. It’s sneaky, and hard to get away with unless you know what you’re doing, but people do it. First they get all of your info. Name, address, SSN, etc. Then they simply fill out a bogus tax return. They make up any information they need to and steal your thousands of dollars. Since many software programs allow for direct deposit or for money to be loaded onto a prepaid Visa, these scam artists get your money, load it to a card, and move on before you file your taxes. What happens to you is that when you go to file, you get a letter from the IRS stating that you have already done your taxes. Chances are that the return was done so poorly that you end up being audited for “your” bogus tax return. By the time you know what’s going on, the scammer has had your money for months and is long gone. There are many different methods that you can take to prevent fraud. The first is to be very careful with your personal information. Only give it out when absolutely necessary. You can also sign up for Legal Shield, where for just a few bucks per month you can get identity theft protection. If you need your taxes done sooner rather than later, hire an accountant in Billings, Montana. With quick turnaround, we can get your taxes done accurately, help you get the largest refund possible, and make sure that you avoid being scammed by eliminating your SSN from the list of those who haven’t filed yet. Practical Taxes is a full service accounting firm in Billings, Montana. We can do basic tax preparation, but also specialize in online payroll services, business consulting, and a lot more. Sometimes we have great ideas that we believe could be profitable business ventures. But when it comes down to it we simply don’t think we could manage the capital needed to start the business. That is where companies like Kickstarter and other crowdfunding ventures come into play. By describing your business idea, and offering premier access to the goods, you can accumulate hundreds of small donations to your idea, instead of pitching a few big investors. But when you have thousands of dollars rolling in, what are the tax consequences? 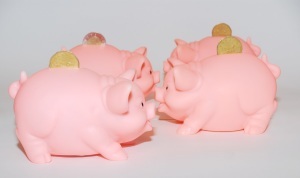 Is Crowdfunding Money Income or a Gift? The answer to this question makes all the difference. If 100 people give you $100 gifts each, then you will have $10,000 in gifts. If they give you the same amount and it is considered taxable income, then you have to add $10,000 onto your taxes. The bottom line is that each are taxed differently, and there is really no set answer at this point. Taxable income is defined by the IRS as income (monetary or otherwise) that is not offset by a liability. That last part is the key: not offset by a liability. When you start a crowdfunding campaign, the purpose of the money coming in is to run your business. You need office space, work space, equipment, supplies and likely personnel. Those costs add up quickly, and if you did your research then you know the exact amount needed. Those costs are also business expenses and they are tax deductible. So let’s suppose you get $10,000 from your crowdfunding venture, and you use $10,000 to buy equipment etc. Then your tax implication is nothing because you deducted it all. At this point it doesn’t matter (as much) if it is a gift or taxable income. Keep in mind, however, that some of the crowdfunding money goes toward your salary. You still have to pay taxes on your salary. If your crowdfunding monies are considered gifts, there are entirely different consequences. Gift taxes may come into play (although there is an exclusion that everyone gets), and keep in mind that gift taxes are almost always the responsibility of the gift-giver. Suppose you have $10,000 in expenses. Your net money, if it is all taxable, would be $0 after all is said and done. However, if it is in the form of gifts, and you don’t have to worry about the taxes, your net money is actually negative $10,000. Practical Taxes can not only help you figure out the tax implications of your crowdfunding venture, but we can also help you figure out the best business model and get things registered with the city and the state. Starting a business is not something to take lightly, so hiring an accountant in Billings, Montana is a smart first move. Practical Taxes is a full service accounting firm in Billings, Montana. We provide all sorts of services over and above tax preparation. From business planning to online payroll services, we are your source for expert guidance. Whether you do your taxes on your own, or you hire an accountant in Billings, Montana, having your documents organized is the key to making sure that you don’t make errors. There are a number of different ways that you can organize, but sometimes just keeping a folder and a checklist handy are the easiest ways to do so. The best part about this organization is that it only takes about 30 minutes over the course of a year, but it can save you hours when it comes time to do your taxes. Here’s how to stay organized. Each year you should start a tax folder. A simple manila folder will work, and on the tab write “Taxes 2015” or whatever year you are making for your folder. Sounds easy, but you’re not quite done yet. On the inside cover of that folder is where you will want to write down all of the tax documents that you receive every year. It doesn’t have to be detailed, just something that can keep you on track so that you remember all of your documents. You will want to make sure to include your W2’s, charitable giving, and all of the other common documents that you remember each year. But make sure to include other documents such as auto registration, student loans, property taxes, thrift store donations, and other items as well. Now comes the hardest part. Make sure that you keep your income tax folder somewhere that you can access it easily. Then every time something comes along that would apply to your taxes, such as registering your vehicle, one-time donations to charities, property tax statements, and the like, you stuff it in the envelope. Don’t worry about organization at this point. The hardest part about making sure your folder has the important documents is that you will often feel a bit lazy. Instead of taking the 60 seconds to pull out the folder, receipts and statements end up getting stuck on the desk, on the kitchen table, and lost. You likely won’t get more than one of these statements each month, so take the time to put them in the right place. In January and February, however, that’s a different story. Pull the folder out and keep it accessible and visible. Every week or so you will get a tax document in the mail. Just place it inside the folder. Before you make your appointment with your accountant in Billings, Montana, go through your folder. Look at all of your tax documents and cross them off the list on the inside cover. When all of the items are crossed off, then you know that you’re ready to have your taxes completed. The best part about this process is that it is easily repeated next year. Grab a new folder, write “Taxes” and the current year at the top, and then transfer over your list from the inside cover. If you started a new job or anything like that make sure to include that on your list. If you need your taxes done, but you don’t have the time to do them yourself, Practical Taxes is ready to help you out. We are accountants in Billings, Montana. He knows taxes, and can get your taxes prepared for far less than you realize. Call 406-894-2050 to schedule your appointment today! Practical Taxes is a full service accounting firm in Billings, Montana. We offer payroll services, online payroll services, tax preparation, and more. A great way to build wealth is to own a house. Now keep in mind that buying a house just because you think it’s the perfect investment is actually not the way to go. A house is a good investment, but there are better ways to invest that will earn a bigger return. After a person is married, even before they have kids, they should get a last will and testament created. This simple piece of paper will help alleviate a lot of problems that come along down the road (it’s very easy to forget about your will and accidents could happen at any time). As your estate grows, further problems could arise in your tax situation. A simple will can help to alleviate those problems. What is in a Simple Will? The biggest thing that goes into your will is who will own what assets after you die. For instance, will your house be sold and the proceeds donated to charity? Or will everything be left to your children? You need to have this clearly planned out, or things may not go as you would want them. Here are the top 5 reasons that you absolutely need a will. Estate Distribution – As mentioned above, distribution of assets and estate are something that is near to your heart. You spent your life building your estate; you should get to say what happens to it after you’re gone. Childcare – If you have young children (under age 18) you need to have a will so that they are taken care of if both you, and your spouse, pass away. Without a will the court will get to choose who takes the kids. While they generally choose a close relative, they may be placed with a state-appointed guardian. Minimize Estate Taxes – Estate taxes are one of the banes of growing your estate. Often called “The Death Tax” these amounts can add up quickly. With a simple will (or a trust if your estate gets large enough) you can divide up your assets in a way that minimizes, or eliminates, estate taxes. Choose Your Executor – You may have a friend or family member that you trust the most with your estate. Without legally naming your executor, you are leaving things up to the court (and they will take a fee for their time). Easy to Change – A will is not set in stone. If a grandchild is born, or a sibling is divorced, you can change up your will whenever you please. Your final wishes should be honored, and as long as you are alive you can change them to however you want. There are a number of ways to create your simple will. You could write it all up yourself, and get it signed in front of a notary. This is a cheap and easy way to do it, but there may be things that are missed. Instead, many people choose to hire an attorney to help them. But at $200 per hour, a will can easily cost thousands of dollars to get drafted, and hundreds every time a revision is made. Instead of wasting your time (and missing some key aspects) or wasting your money, you should look into Legal Shield. 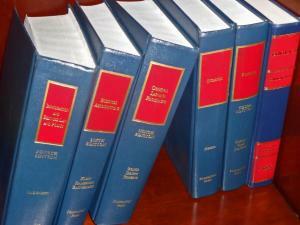 You can get all of your legal work done for one low monthly price. Even if you sign up and only use it to create your simple will (and hang on to it for a couple of years “just in case”) you will still pay less than if you approached a lawyer directly. Complete tax services in the Billings Area.